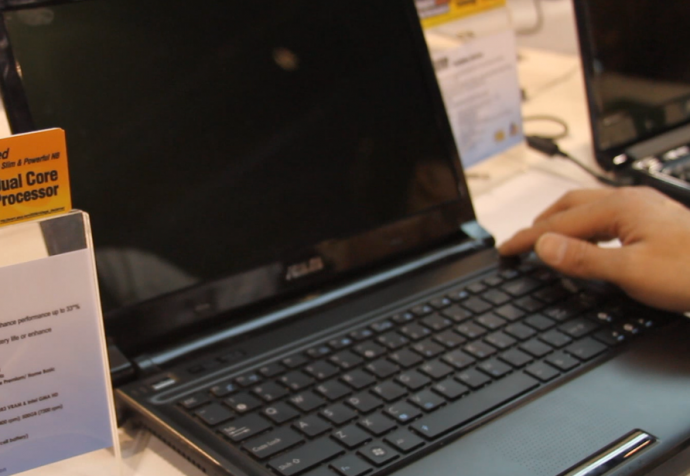 ← ASUS UL80Vt Hands-on Review at CES 2010! UPDATE: ASUS U30Jc is now available for pre-order on eBay!!! UPDATE2: ASUS U30Jc is now available for pre-order on Amazon!!! 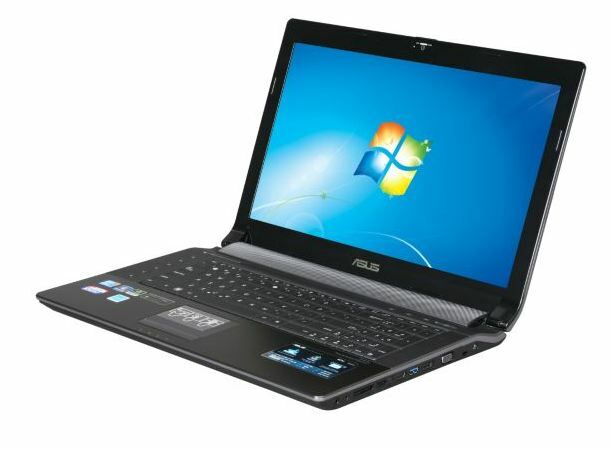 The ASUS U30Jc is a beast with an Intel Core i3 or i5 CPU, one of the first ASUS laptops with Intel Core i3/i5 CPUs. We suspect that final U.S. version would come with the Intel i5 CPU, which should be much zippier than ULV processors that has been used on UL series, which are thin and light but lack the processing power an Intel i5 processor can provide. Apart from the performance upgrades in CPU, the U30Jc comes with DVD/Blu-ray disc drive, up to 640GB hard drive, up to 4GB DDR of system memory. The laptop itself is pretty hefty. 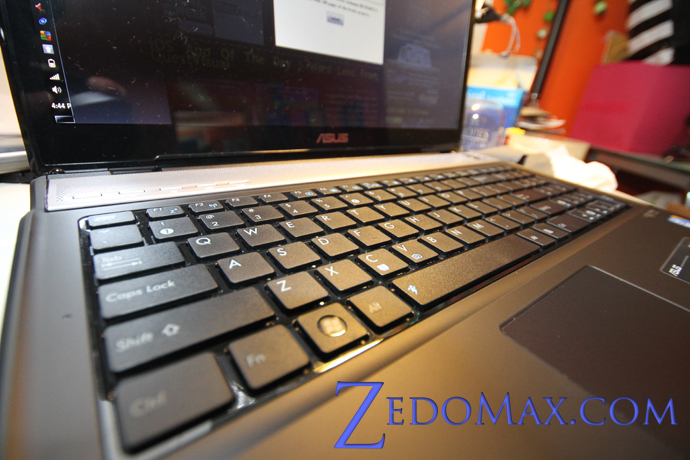 Of course, don’t forget that this laptop isn’t make to be thin and light like the UL30V series. On the upside, this laptop will prove plenty of performance for those of you who need to play games yet you don’t want a full-fledged gaming laptop. 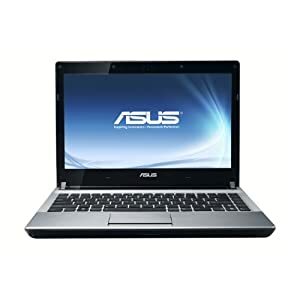 I can see this laptop being a great “portable” gaming laptop or even a “portable” HD video editing laptop. ASUS also has some really nice keyboard-backlit 3D gaming laptops, we will dive into that next. I will update this post when video is fully processed on YouTube. For some reason, my video processing is taking forever so, check back on this post or my youtube channel at Youtube.com/Zedomax. One thing I have to note is the metallic, matte keyboard/touchpad that does a nice job of preventing fingerprints over the other ASUS laptops. Plus I think this matte finish is easier and much smoother for browing the web using the touchpad. 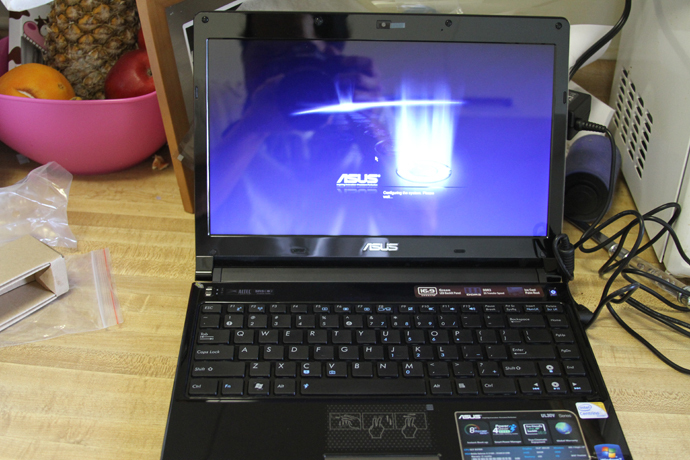 20 Responses to ASUS U30Jc Hands-on Review at CES 2010! Thanks for the info on the U30Jc and the U30Jt. So far you are still the only one to pick up on these two laptops. I’ve been searching the big tech blogs (engadget, gdgt, gizmodo, etc) and you are still the only one with any info. I had my hopes set on a UL30vt-A1, but am holding off based solely on your post. Any chance you could get some time to go back to the ASUS booth and drill some more questions from the rep regarding price, performance (just how much of an increase are we seeing with the new cpus). Also I am patiently waiting for your video of both on youtube. As I have said, you seem to be the ONLY blogger to have picked up on these two laptops, so any info that you are able to post is greatly appreciated. I should have the UL30Jt video up soon so check there instead of YouTube, I will also make sure to drill some more questions at the ASUS booth tomorrow. Wow this looks really nice! I eagerly await the responses to the questions. The big one being the price! Okay (not trying to be impatient BUT… your last post regarding the uljt was Jan 11!!! Whats been happening (if anything) between then and now? Any more info? What exactly is the diff between ul30jt & ul80jt? 13″ & 14″? Also, i noted one was black, one was silver. Any ifdea IF the 14″ will come in the silver, and again, any idea WHEN & HOW MUCH?! I think ULJt series should come out soon but I can’t say for sure because I don’t work for ASUS or affiliated with them in any way. If you need a laptop now, I would highly suggest the UL30Vt series. If you can wait, I would say wait until the new ones come out. The only difference between UL30Jt and UL80Jt (Or the UL30Vt and UL80Vt) is the size, 13.3″ or 14″ plus DVD drive. Personally I don’t like DVD drives because they bulk up your laptop but if you must have one, get the UL80. I can’t seem to find a video for the U30JC up on the youtube or vimeo sites… Am I blind or have you not uploaded the video? Ah crap I think I forgot to upload it, let me see if I can upload it this week! Wow, can you see that the right mouse button on the pad is already sunk in? Everything sounds good, but it doesn’t look that ‘durable’. Or does laptops break during these types of shows??? It’s not sunk in; it appears to just be a reflection. Note that the “black part” of the shiny silver-colored button appears to be a different size in the two pictures; the pictures were taken at slightly different angles. Also, it could be a design element (painted/different material), but I think it makes more sense that it’s a reflection of the top corner of the screen (or something else nearby that is not visible in the picture). Either way, if it were “sunk in”, the part that shows up black wouldn’t have the shape that it does; it would be a straight line, rather than the “angle”-type edge that is shown. It is sunk in…look at the first picture. Actually you know what, that’s a reflection, it’s not sunk in at all, take a closer look. I actually have a video review of this, yes, it’s not sunk in, it’s my DSLR picking up the shade details. hey max..i have been waiting for the video review of the asus u30jc since some time..can you please upload it so tht i cn have a look at it.. Okay, will do, uploading today! Sorry, I am an idiot, I just looked through but I think I either never took the U30Jc video or lost it. Darn it. Dayum, you’re right! Optical illusion much? I’m not a fan of the glossy display bezel, my N10JC’s bezel got scratched up to heck after a year. 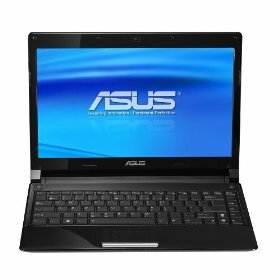 Asus makes great laptops but they need to use better materials.